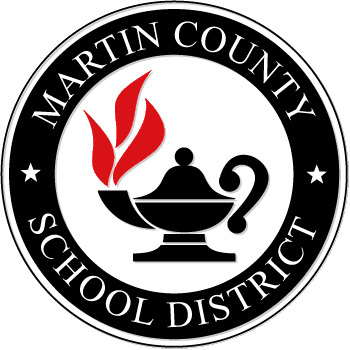 The Martin County school district held an official hearing May 9 in response to several complaints about evolution in the science textbooks the district is considering adopting for the next school year. I am waiting to get a recording of the hearing but I did obtain from the school district via a public records request the complaints that were filed that sparked the need for a hearing. It’s easy to roll your eyes, dismiss, or simply ridicule what these people wrote, but because of the relatively new Florida law about instructional materials, school districts are forced to take these complaints seriously, appoint a hearing officer, and hear these folks out. To what do you object? The definition of ‘theory’ is not complete and accurate nor is evolution ‘confirmed.’ The chapter is not balanced because there is nothing presented against the theory of evolution. What do you believe is the theme or purpose of this material? To teach the scientific basis for the beginning of all things. Have you read any critical reviews of this material? If so, what? ‘Design Flaw’ by Norman Johnson; ‘Darwin’s Influence on Modern Thought’ Scientific American July 2000. What would you like the school or district to do about this material? Either find an objective and balanced textbook or develop a supplemental curriculum that presents the case both for and against the theory of evolution. What do you feel might be the result of a student using this material? Confusion, lack of critical thinking skills developed, and a skewed perspective on such an important subject. Have you read any critical reviews of this material? If so, what? Sudden Origins by Jeffrey Schwartz, Genetic Perspective on the Origin and History of Humans, Takahata in Annual Review of Zoology and Systematics. What would you like the school or district to do about this material? Either find a textbook that presents a balanced and objective teaching on the theory of evolution, or develop a supplemental curriculum that present the case both for and against the theory. To what do you object? That evolution is being taught in a factual way. What do you feel might be the result of a student using this material? Can’t think critically. What would you like the school or district to do about this material? Replace this textbook with one that doesn’t teach evolution in such a factual manner. To what do you object? The material in lesson 5 is presented as fact when this theory cannot be tested by scientific method. Since Darwin’s Theory is thoroughly explored, I feel it is best to explore all theories in an objective manner. Many qualified scientists do not believe the fossil record is solid enough to present it as a basis of fact. What do you feel might be the result of a student using this material? A narrow view of the origins of life due to only being exposed to Darwin’s Theory. What would you like the school or district to do about this material? Find or develop materials which teach all theories of the origins of life in an objective manner. To what do you object? Explanations based only on evolution. What do you feel might be the result of a student using this material? Young minds will be influenced to believe that evolution is science and other explanations are invalid. What would you like the school or district to do about this material? Develop a curriculum which presents the fact that evolution is theory and not fact, making room for other beliefs. What do you feel might be the result of a student using this material? Most students will likely come away with the belief that evolution is the explanation of the history of life. What would you like the school or district to do about this material? Develop a curriculum which presents both sides of the issue. Teach that evolution is a theory, not a fact and that there are other explanations. To what do you object? Page 560: “Every scientific test has supported Darwin’s basic ideas about evolution.” Preposterous at best. What do you believe is the theme or purpose of this material? To present a one sided view in order to limit other accepted views. What do you feel might be the result of a student using this material? Not developing critical thinking based on the whole truth, not just one sided viewpoint. Have you read any critical reviews of this material? If so, what? None. Was taught both sides when I went to high school. Should offer the same or better education, not lower class. What would you like the school or district to do about this material? Find or develop curriculum that presents an objective case both for and against evolution. I’ll return with an update once I get a copy of the hearing recording.